Why is FIT stock worth another look? It's the smartwatches. In the investing world, the problem with fad stocks is that they come and go. That happened so many times, on many occasions, and with the same results in the end. Fitbit (NYSE:FIT) stock dominated the wearables market when fitness tracking became a hot trend. Same with GoPro (NASDAQ:GPRO), with its action cameras. 3D printing had a nice run. Of all the fads that faded in recent times, Fitbit still has a chance to revive itself. So, did the company show evidence of that in its last quarter? In 2018, Fitbit generated $1.51 billion in revenue but lost 20 cents a share (non-GAAP). For a company trying to still set trends in wearables, its ASP (average selling price) did not support that view. ASP rose just 4% to $105 per device. Gross margin (also non-GAAP) fell 250 basis points, to 40.9%. The company benefited from emphasizing more on smartwatches, though selling end of life devices at a discount was still a drag. Costs related to warranty and customer support fell, which is a good sign that product quality improved. Back when Fitbit was hot and its stock was flying high, word of mouth spread that the wearables were of low quality and would break just after the warranty period. That customers needed less support in Q4 is a positive sign. In the fourth quarter, Fitbit earned 14 cents a share (non-GAAP) on revenue of $571 million. ASP for the quarter fell 2% to $100. Unfortunately, gross margin fell 550 basis points to 38.7%. The sharp drop might explain the shareholder disappointment of the results that sent the stock from $7 down to around $6. In 2018, Fitbit grew smartwatch revenue to 44% of total sales, up from 8% the previous year. This fundamental shift is needed for its survival. Apple (NASDAQ: AAPL) Watch is already in its fourth iteration. Samsung continues to offer smartwatches at a wide range of sophistication. Older Samsung smartwatches are priced close to that of Fitbit smartwatches. Yet Fitbit still gets to claim the title of being the No. 2 smartwatch company in the U.S. (slide 6). In the fitness tracking space, Fitbit’s Charge 3 will continue to grow in sales, as consumers demand only health and fitness tracking. Gross margin falling year-on-year despite Fitbit cutting expenses by 12% to $701.7 million in the year. It owes the lower operating expenses to disciplined spending in marketing, lower reliance on promotions, and lower POP spend. R&D cost cuts were the least within the Opex, down just 4%. By comparison, sales and marketing costs fell 17% while General and Administrative fell 12%. Fitbit has an opportunity to rekindle its former growth levels. It is starting to monetize its active user community, sees wearable macro trends improving, and will benefit from smartwatch adoption rates. Its penetration in corporate will have a positive impact on the overall results. Corporations and health insurers benefit if workers wear Fitbits. Corporations are subsidizing the devices, which will drive Fitbit sales in 2019. By stabilizing operating costs, Fitbit is at an inflection point where revenue growth outpaces costs. In the next quarter, look for gross margin trending back towards 40%. Management expects it will get to that level in the full year 2019. Fitbits come in a number of sizes and shapes. Many customers prefer the slim tracker over the watch design. And while cheaper slim models lower the ASP, the software is the same. As Fitbit cross-sells high-margin premium software, called Fitbit Coach, profits will go up. Fitbit also has the opportunity of refining its advertising to target those who enjoy high-intensity activities. Fitbit Coach would offer what they need. Based on its future cash flow, FIT stock trades close to its fair value. That valuation target could go up if the company grows sales this year. It has a good chance of doing so, especially after refreshing its product line and putting more attention on the smartwatch. Watch for Fitbit stock to hold the $5.50-$6 support line (Based on the 50- and 200-day moving average). If it does not fall below that, consider accumulating the stock on the dip and before the next earnings report. 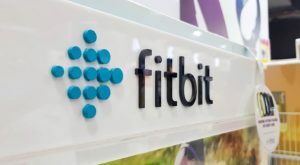 Article printed from InvestorPlace Media, https://investorplace.com/2019/03/reasons-to-buy-fitbit-stock-if-it-dips/.